It’s so hard to draw in this country. With the mountains being so close and so beautiful any spare time we have we are out hiking and camping. Last week I was thankful for all the rain as it let me replace my camera for my pencils and make some new work. 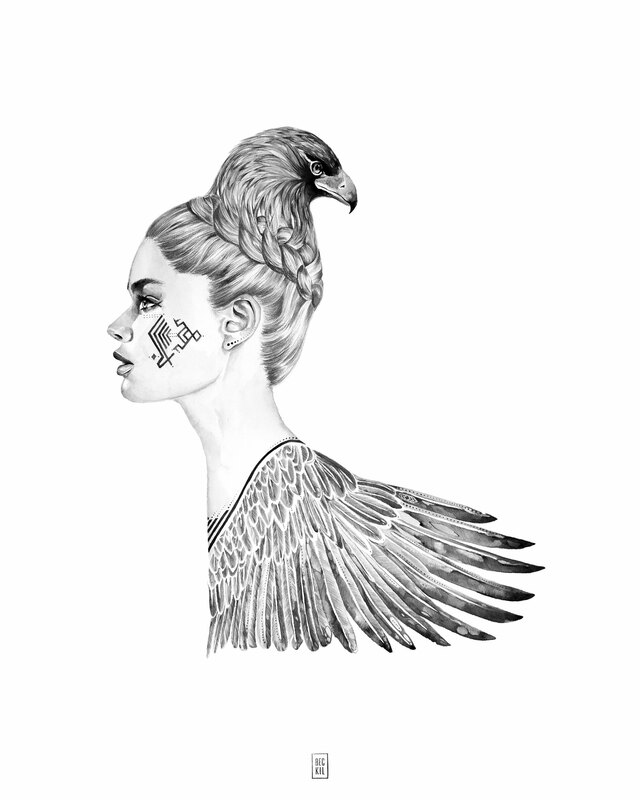 This is Maiya, the eagle lady – first in a series of bird ladies.